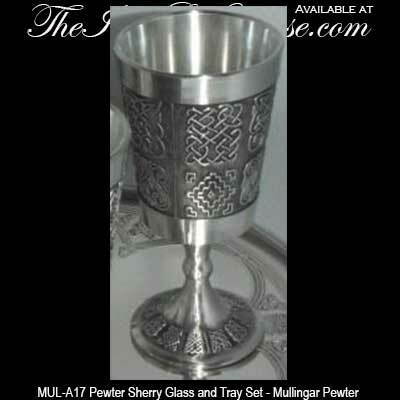 This pewter sherry glass set from Mullingar Pewter is embellished with Celtic knots on both the glasses and the tray. 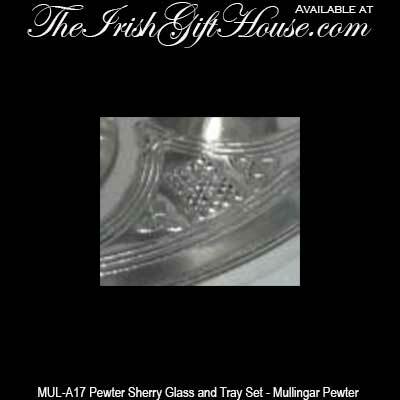 Mullingar Pewter Celtic Knot Sherry Set with Tray. 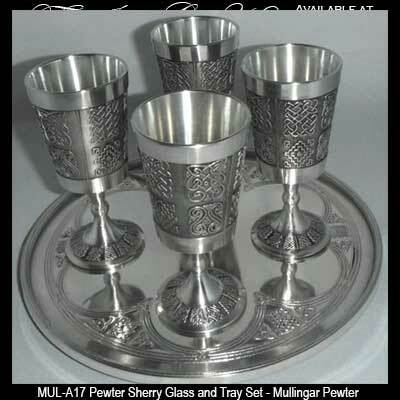 Four Sherry Goblets with an 8” Tray. 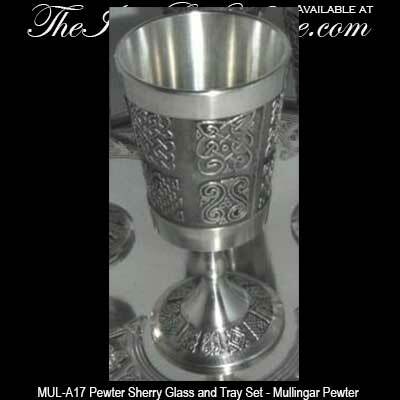 Special order, please allow 4 - 5 weeks.